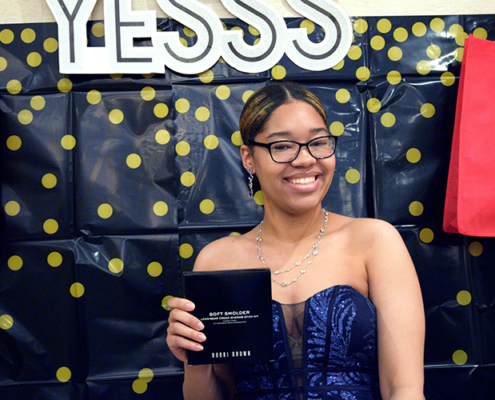 Project Prom 2019 – An Enormous Success! 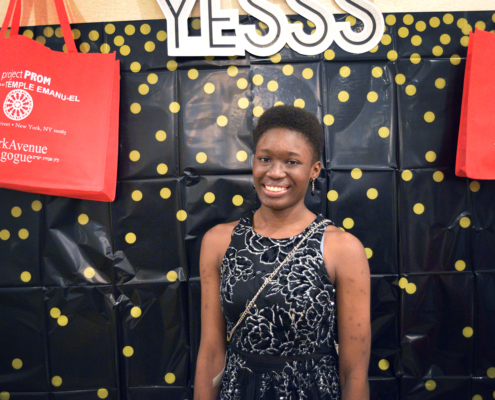 For the sixth year, Tikkun Olam created a two-day personal shopping “boutique ” experience for 300 underserved New York City high school seniors to help them celebrate their academic achievements by helping them shine at their graduation ceremonies and spring proms. 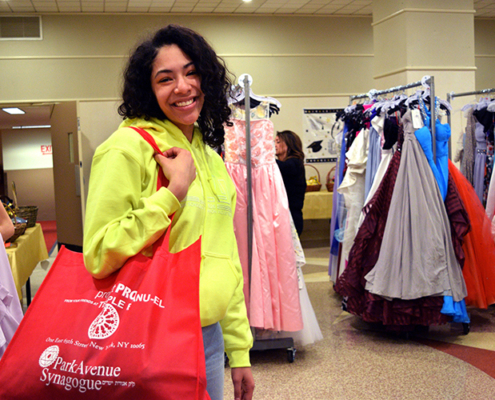 In partnership with Park Avenue Synagogue, Emanu-El provided these young women with a free prom ensemble — including dresses, shoes, jewelry, bags, and makeup. 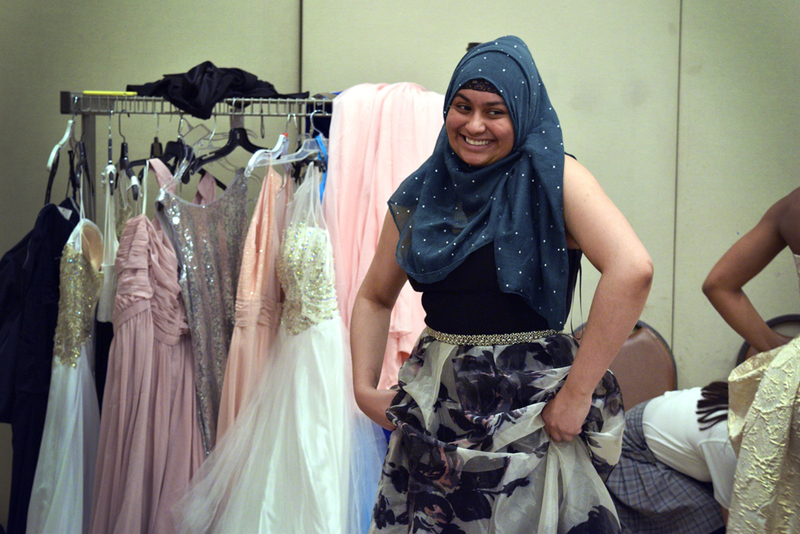 The girls who attend Project Prom are recommended by their guidance counselors (or parent coordinators) from the following schools: High School of Fashion Industries, Urban Assembly, HCZ/Promise Academy, Manhattan Bridges, Talent Unlimited, St. Vincent Ferrer, Goddard, St. Luke’s, New Life School, Notre Dame, Orchard Collegiate, Young Women’s Leadership, BIZ of Sports, Liberty High School, PPAS, LaGuardia, Beacon, Good Shepherd and St. Luke’s College Prep Program. In addition to receiving many personal donations from our congregants, a wide range of businesses generously donated to the event. 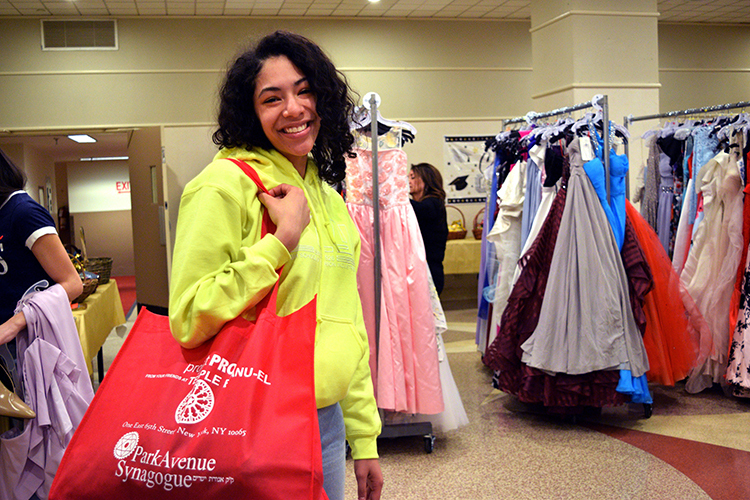 Over 600 dress donations were given to Project Prom by Faviana, Dessy Group, B Darlin, Levy group, Bill Levkoff, Alex Evenings, Jay Godfrey, Kelly Faetanini, Adrianna Papell Group, Jasmine Bridal, Mestiza-NY, Kleinfelds, Jovani, Mori Lee, Universal Standard, and Cachet. Jewelry donations we provided by Lee Angel, Lovers Tempo, The Jewelry Group, Deepa Gurnani, Susan Alexandra, Clover, and Lulu Frost. 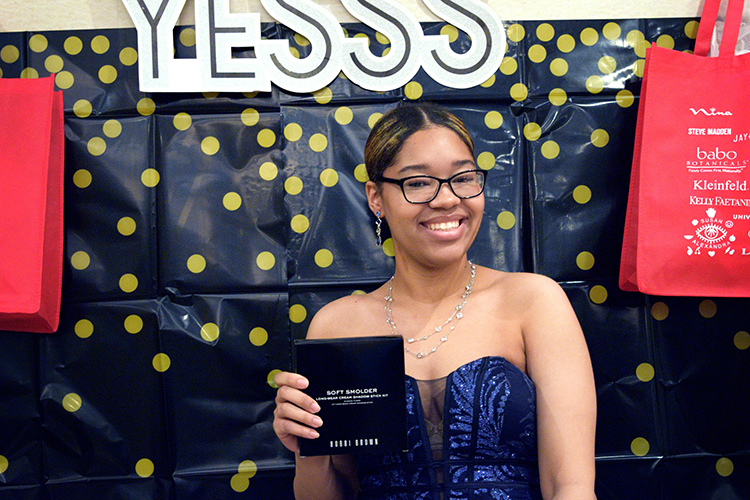 Shoes and evening bag donations were provided by Nina Footwear Corp., Me Too Shoes LLC, Calares, Vionic, Steve Madden, Sondra Roberts, Basha Accessories LLC., Estee & Lilly, LaRegale, Happy Socks, and the Accessories Council. 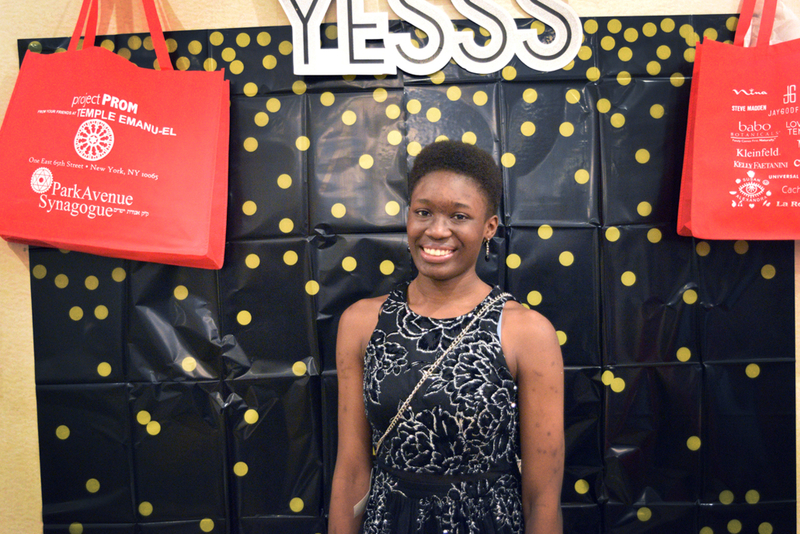 Cosmetics donations were provided by Bobbi Brown, Babo Botanicals, Cover Girl Makeup, and the Estee Lauder Companies. 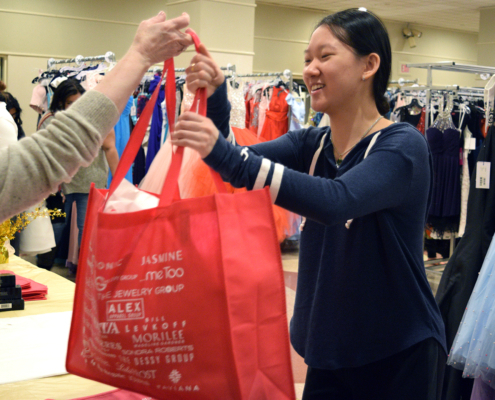 Our Project Prom Committee is extremely grateful to these vendors and all the volunteers who worked so diligently in obtaining these donations. 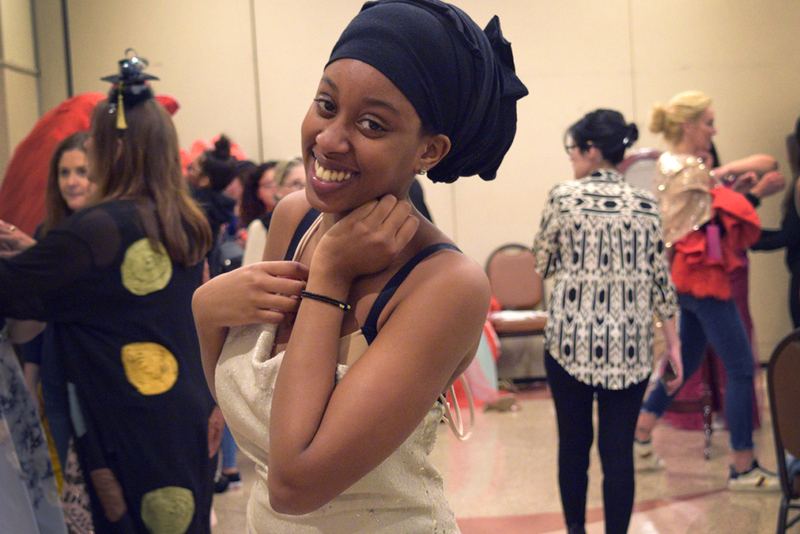 The event lasts only a few days, but it is preceded by nine months of commitment and planning. My sincerest thanks to Debbie Halperin, Dana Covey, Eileen Melniker, Abby Solomon, Lori Villi and Marlene Yokel. 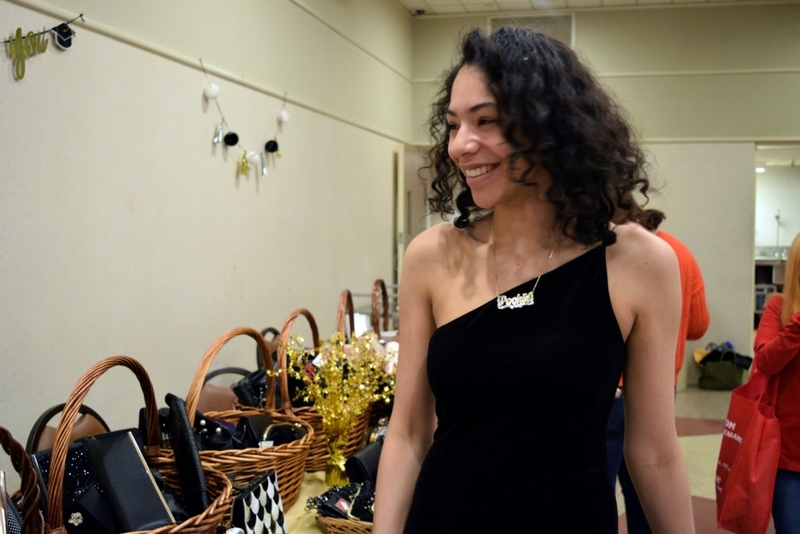 I would also like to thank the many volunteers who assisted as personal shoppers and fashion stylists and those who helped with the logistics of set up/clean up. 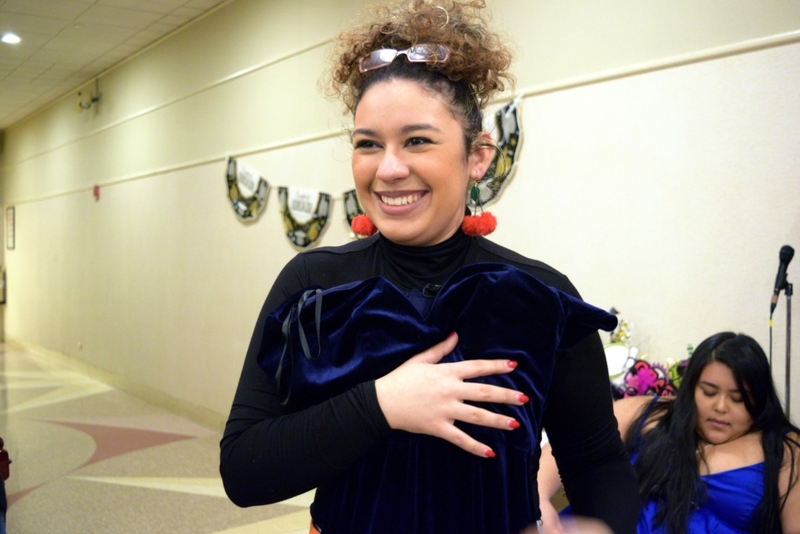 Each volunteer welcomed our guests with joy and excitement. 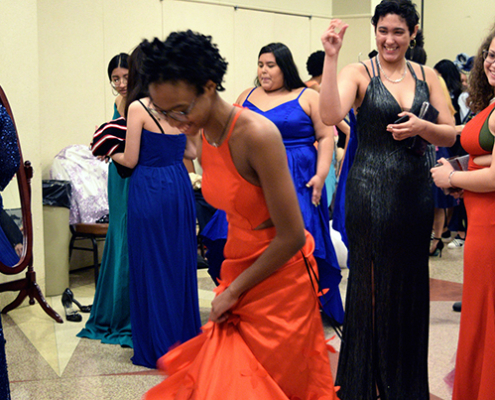 In addition, my thanks to our amazing Temple staff, who are always helpful and supportive, and an essential part of Project Prom’s success each year. 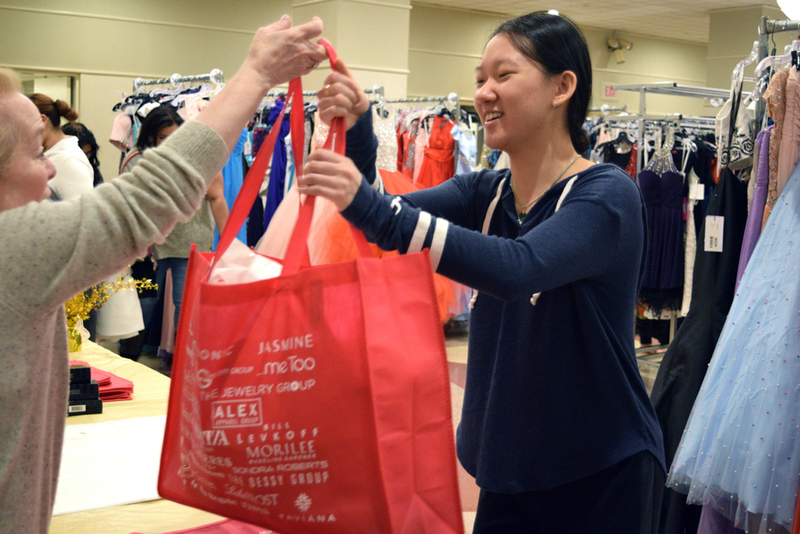 A big shout out to your many donors, private and corporate and especially to your volunteers who helped set up and assisted the young ladies in finding their “dream dress” for prom. 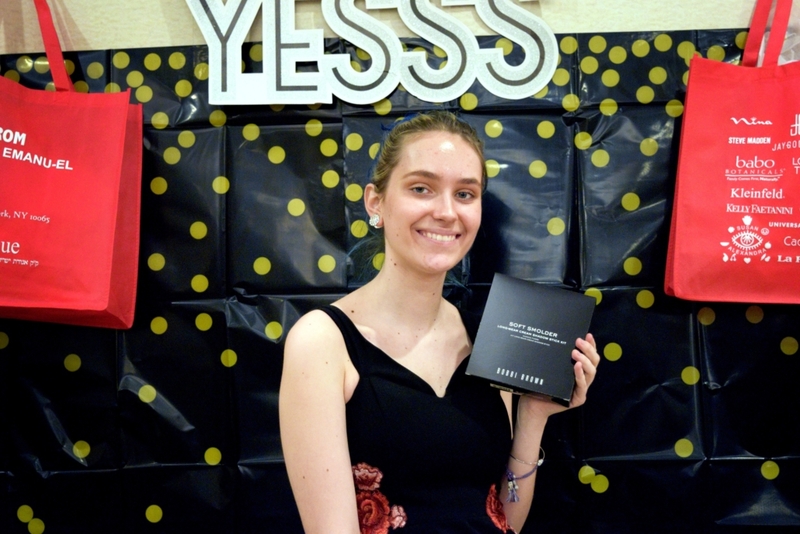 I wanted to take the time to write to you because I was blown away by the conversations swirling around, not just about prom and graduation, but college and career choices. 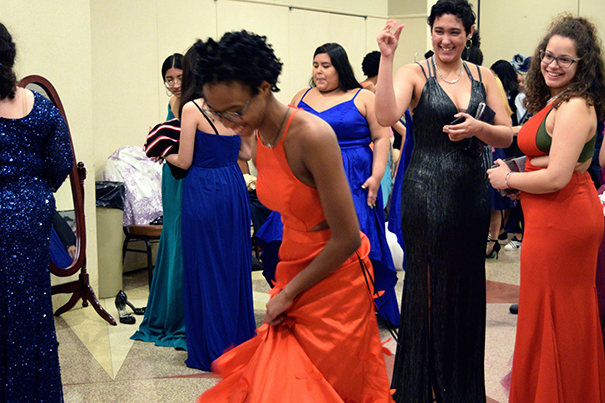 In the supportive environment in which they found themselves, there was a lot of laughter and “letting down their hair.” I came with my daughter, Cheyenne, along with another parent, and a group of teens from The Beacon School. It was so great to see my daughter interact with her friends for an hour or so, seemingly without a care in the world. 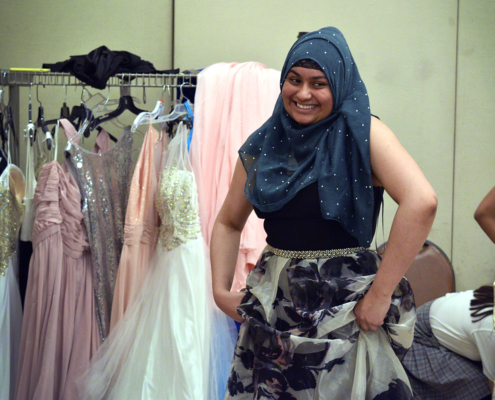 She left with a spring in her step, her dream “poofy” dress that matched the exact shoes she had wanted to wear, along with bags of goodies, munching on corn chips and taking a fruit and nut bar for lunch the next day. 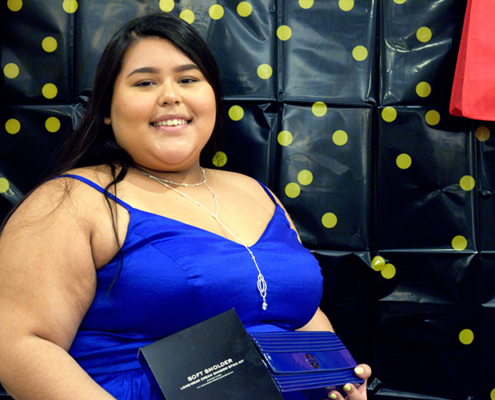 To all onlookers, Cheyenne was a typical teenager, but I want to help you understand her transformation, not only from jeans and t-shirt to princess but also, her new perspectives that I’ll gladly share. Last night, on our way home, Cheyenne spoke animatedly about how Rhoda, Joan, and Diane had teamed up to help her find her dress, shoes and after help from others at the jewelry and handbag counter, took her to Susan who checked her out. 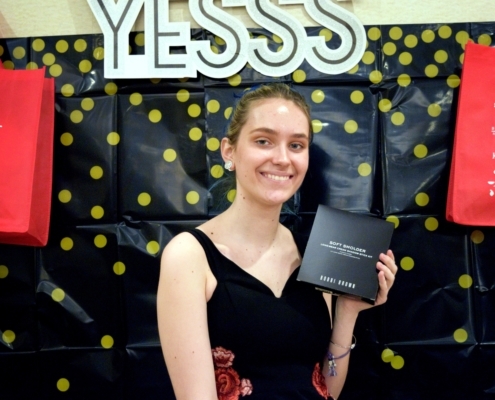 This morning, she forwarded to me her “Googled” Project Prom search, along with information about how Temple Emanu-El was the first Reform Jewish congregation in New York City. But the text she sent me at lunch put a big smile on my face. “Mazel-tov to these young soon-to-be graduates, was their Facebook post, mom!” The research did not really surprise me. 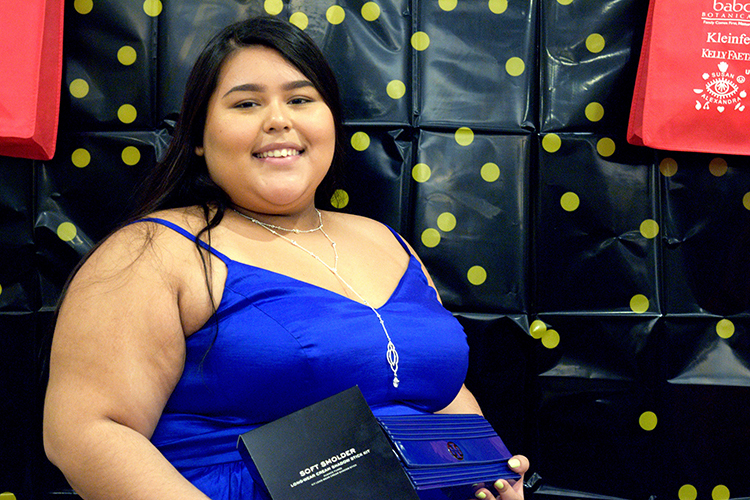 Cheyenne has been steadily building skills since a freshman at Beacon. 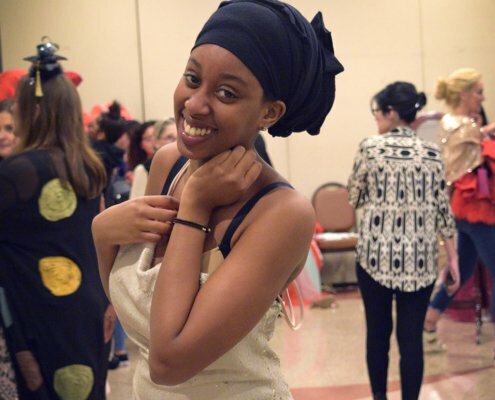 But her spirit seemed so uplifted! And I thought, as I considered her dad at North Shore in Manhasset where he was transferred to, there’s a lot of healing going on all around. It is even more precious to observe when people come out of their “circles” to reach out. So just to let you know, you gave us so much last night that was not really measurable. Thank you!